Pretty as a picture! 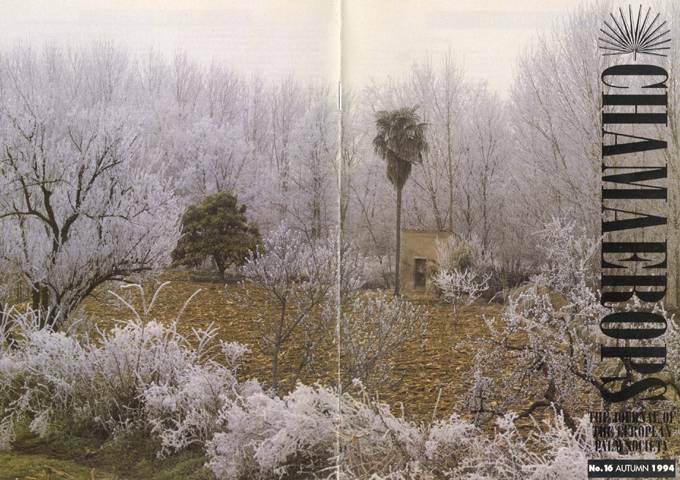 Trachycarpus in the snow in Zaragoza, Spain. A practical and painstaking article about gardening where the main problems seem to be too much sun and too little rain. We should all have such problems. Question: What grows 15 feet in 2 months and likes Canaries? Flushed with success from his recent TV appearance, Richard provides the answer.